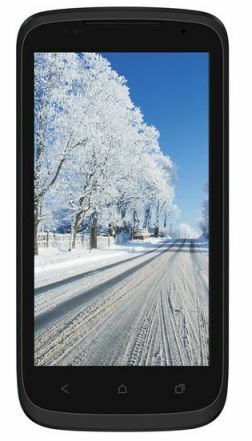 Celkon launched its new low end budget Android phone, the Celkon A62 is now available on popular online stores. This phone comes with a bigger screen of 4.7 inch with the resolution of 854x480 pixels. It runs on Android 4.0.4 Icecream Sandwich operating system and it is powered by 1 GHz dual core processor with 512 MB of RAM. Celkon A62 has 512 MB of internal storage and the external memory can be upgraded up to 32 GB with micro SD card. The phone features 8 MP rear camera with auto focus, LED flash and Multi-Shot options. Also there is a 2 MP front facing camera for making video calls clearly. The phone has Dual Sim support but there is GPRS connectivity only. The phone comes with 1800 mAh Li-Ion battery, Audio Jack, Bluetooth 3.0 and FM Radio. Celkon A62 has a bigger screen and cameras are good and the low internal memory is a notable point. But the price is very cheaper than other brand mobiles providing this features. Celkon A62 is priced for Rs. 6,799 and now available on Snapdeal online store.